Phones are getting weird again and in just the past couple days, we’ve seen a wildly expensive bendable phone, a phone that can read your palm, and a bug-eyed phone with five cameras on its back. And while Sony’s latest batch of Xperia phones aren’t quite that strange, there’s something undeniably intriguing about Sony’s new handsets. Headlined by the flagship 6.5-inch Xperia 1 and supported by a pair of mid-range siblings – the 6-inch Xperia 10 and 6.5-inch Xperia 10 Plus – these phones stand apart thanks to a super wide 21:9 screen ration. These phones might seem to be inspired by the extra tall cans found at your local bodega, but the real purpose of their wide displays is to deliver more usable screen real estate in portrait mode while texting or scrolling through websites, and a better viewing experience while watching movies. 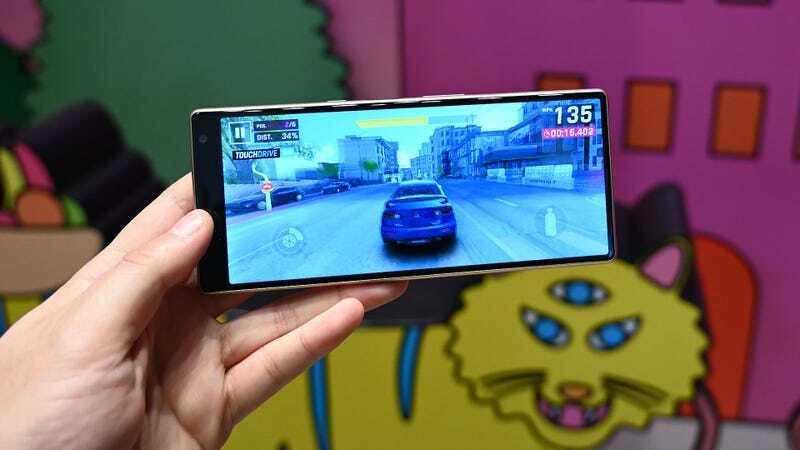 Sony is even working with game devs like Game Loft, makers of Asphalt 9, so that more titles can take advantage of the Xperia 1, 10 and 10 Plus’ 21:9 displays. However, an added benefit of these displays is that they also end up being a bit skinnier than normal, so that in your hand, they just feel right. Honestly, I was taken aback by how such a little change can much such a big difference. On top of that, thanks to their long screens, doing things like multitasking while watching YouTube off to the side is suddenly more enjoyable because it feels like the picture-in-picture window is obstructing less of the screen. 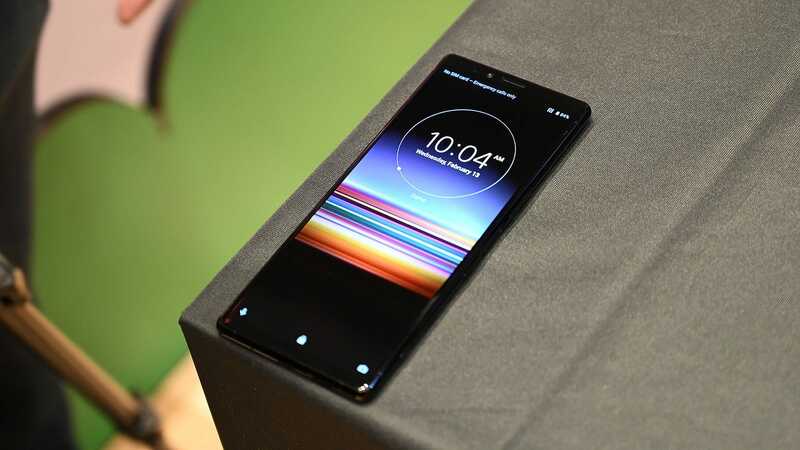 But what has me most excited about the Xperia 1 in particular, is that based on some of its features, it finally feels like Sony is taking the best things from its other major product categories and merging them in a single, portable device. I mean think about it. When it comes to cameras, the Sony A7RIII is one of the best full-frame mirrorless shooters among an increasingly competitive field. Same goes for Sony’s line of Bravia TVs, which have been lauded for their excellent picture quality for years, and the Sony WH-1000M3, which remain our top pick as the best noise-cancelling headphones on the market. 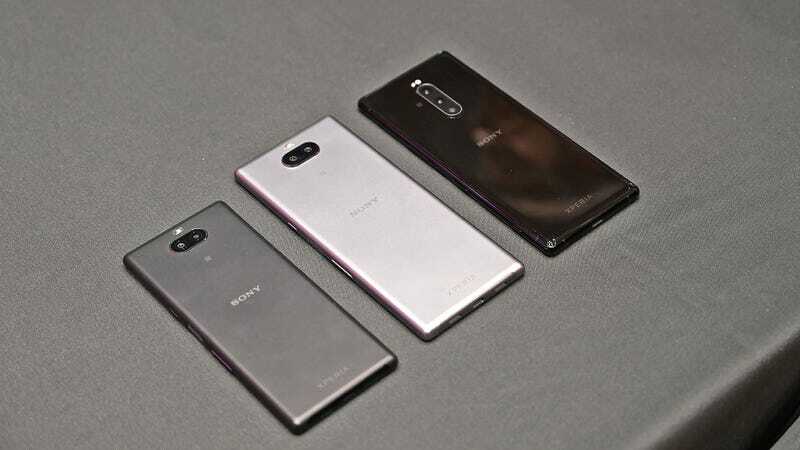 From left to right: the Xperia 10, the Xperia 10 Plus, and the Xperia 1. 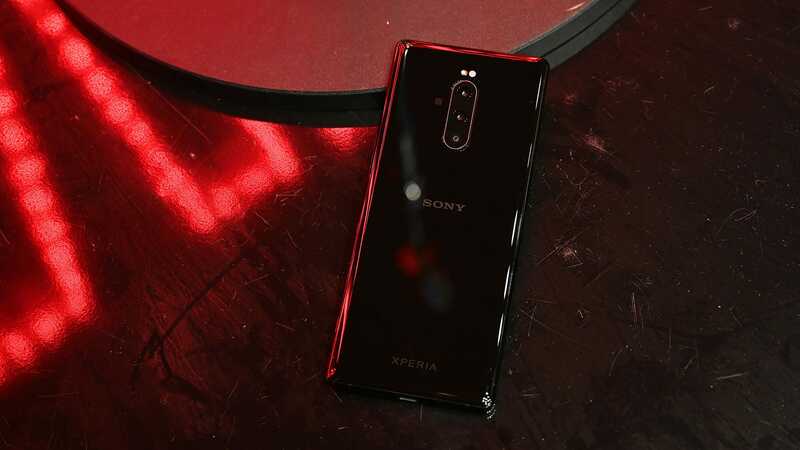 So when it came to photography, in addition to being Sony’s first phone with triple rear cameras, Sony borrowed the wonderful eye-tracking autofocus and 10 frames per second burst shooting modes from its A-series cameras and gave it to the Xperia 1. Meanwhile, for audio, both the Xperia 1 and the Xperia 10/10 Plus get Sony’s High-Resolution Audio and special LDAC encoding technology, which Sony claims should make audio sound extra rich – even when listening over Bluetooth headphones. Sony even tossed in its DSEE HX tech, which automatically upscales the compressed audio you get when streaming music over apps like Spotify, to help recover some of each song’s original fidelity. 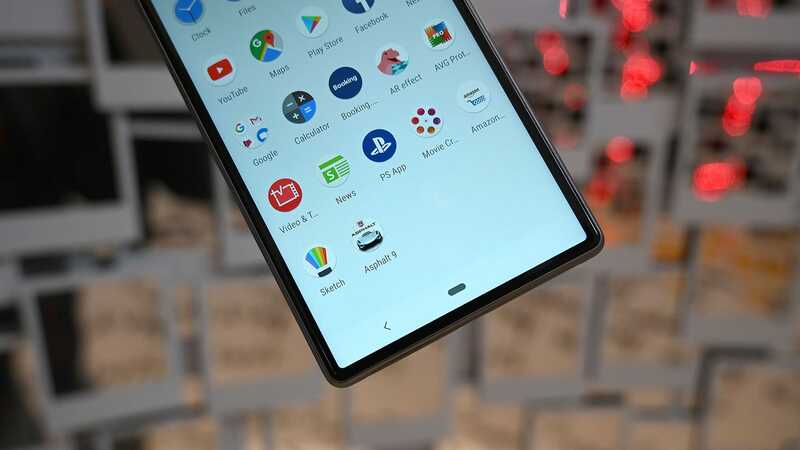 The Xperia 1's most important piece of borrowed tech though is its screen, which Sony claims is the world’s first 4K HDR OLED display. It’s just really damn pretty, and while I haven’t had the chance to compare the Xperia 1 with a Galaxy S10 side-by-side, both screens rank among the best screens you can get on a phone right now. And for all you smartphone videographers out there, the Xperia 1 even comes with a new range of color management presets, powered by Sony’s pro-grade CineAlta camera division, that are supposed to give your videos a more Hollywood-like look. Unlike its more affordable metal-backed siblings, the Xperia features Gorilla Glass 6 in front and back. Really, the only piece of heritage the Xperia 1 is missing is some DNA from the PlayStation family, because while the phone does have a Game Enhancer feature that turns off notifications, optimises performance, and makes it easier to record your screen while gaming, there’s not really much cross-over between the Xperia 1 and Sony’s best-selling game console. That said, I’m still hoping this omission secretly means that Sony is finally going to revisit the Xperia Play from way back in 2011 and update it properly sometime in the near future. For specs, the Xperia 1 comes well equipped, featuring a Qualcomm Snapdragon 855 processor, 6GB of RAM, 128GB of storage, a microSD card slot and 3,33o mAh battery. And while the Xperia 10 and 10 Plus offer somewhat more conservative components, for phones that cost $350 and $430, respectively, they aren’t doing too bad either. Both mid-range models come with dual rear cameras, with the Xperia 10 sporting Snapdragon 630 chip, 3GB of RAM, and 32GB of storage, and the Xperia 10 Plus offering a Snapdragon 636, 4GB of RAM and 64GB of storage. And if you’re looking for their fingerprint sensors, all three feature side-mounted fingerprint readers that also double as power buttons. Annoyingly though, the Xperia 1 doesn’t have a headphone jack, while both the 10 and 10 Plus do. And while I personally don’t mind it, I can imagine some folks make take offence to Sony’s new three-sided bezel design, which features slim bezels on the bottom, left, and right, but countered by a relatively large forehead up top. Sadly, Sony hasn’t announced a price for the most exciting phone, the Xperia 1, quite yet, but if the phone ends up being as good as its bloodline suggests, the new Xperia 1 could be the phone that brings Sony Mobile back to its heyday, when phones like Xperia Z3 were some of the best flagships on the market. Look for the Xperia 10 and 10 Plus to go on sale March 18th, with the Xperia 1 following sometime later this spring.